I could be accused on fussing over my feet. That is perhaps not too far from the truth. I am the person who applies Band-Aids and tape ‘just in case’ and the one you can always be relied upon to have a well-stocked foot care kit. I won’t bore you with the details but let’s just say that a passion for impractical women’s heels has resulted in my feet being a little oddly shaped. I need sturdy yet comfortable, well-fitting boots for a hike. Oh and a wider fitting than is usual in women’s hiking boots. Boot retailers are great at asking the ‘right questions’ when you are buying hiking boots. Where will you be going? What kind of terrain? Waterproof or not? All very important questions but for me it is less about the terrain or where I am going. It took me many years to work out what to ask when I went to buy hiking boots. My question is simply ‘what is the widest boot you have?’ and immediately the options are narrowed down – no pun intended! That’s the question I asked when I bought my Vasque Taku GTX hikers. 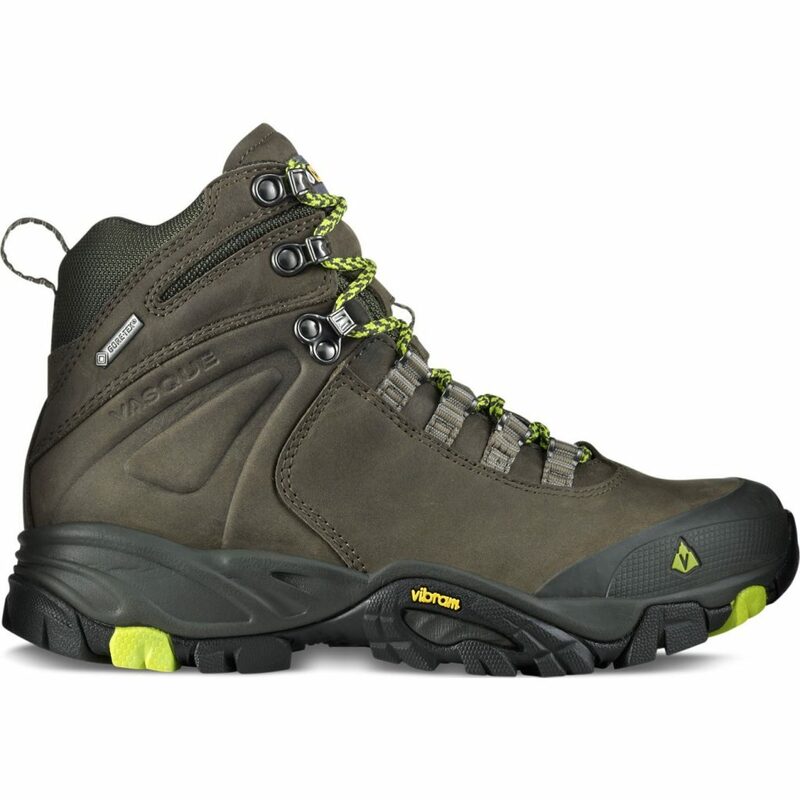 I had been looking for a new boot for a while as an alternative to my leather Scarpa boots. As soon as I put on the Vasque Taku GTXs I knew they were the ones to buy. Just as important, even though they were wider, they looked in proportion and felt great. Vasque prides itself on functional footwear that incorporates innovation as well as being aesthetically pleasing. And I couldn’t agree more in this case. I hadn’t worn them much prior to embarking on the Larapinta Trail in the Northern Territory of Australia – 14 days and 290 km all up – and they were a great success. I had heard that they needed a ‘little wearing in’ and I would definitely agree. These boots withstood the battering they received from the very harsh and rocky Australian outback terrain. So that’s lots of gold stars for the outside of the boot. What was happening on the inside? Well in retrospect for such a long hike I would go a half size bigger given that my feet swell after a few days on the trail. But other than that all was good although I did find that if I kept my boots in the tent overnight they wouldn’t cool down as much and ‘shrunk’ less so that they were easier to put on each morning. And best of all, my stock of Band-Aids and tape went largely untouched! Just as well given that a fellow hiker cleaned me out! A hard wearing choice for those needing a wider fit. Be warned, at around $350.00 AUD this boot is more expensive than other options but it will stand up to heavy duty activity! Vasque makes a range of versions are available in male and female sizes. This brand is not as common in Australia as other better known brands.